and find its way for a perfect execution. Born in a creative family, Sai Dadarkar always was passionate about expressing herself through her art. Her affair with writing is nothing but the specimen of her affection towards the same. 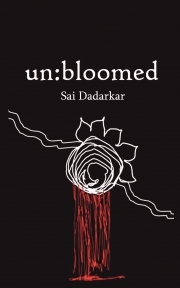 While she thought she couldn’t even write a single sentence on her own, with time and proper nurturing she came up with her first poetry collection- un:bloomed. She believes in writing about simplistic happenings in and around her and tries to encompass all of her experiences within her artwork. With this collection, she has attempted portraying love, attachments, bonding and most importantly the woman that she has been looking up to.